(?) Brown (?) was born perhaps about 1713. Abigail (?) was born perhaps about 1706. 1880 United States. Census Office. 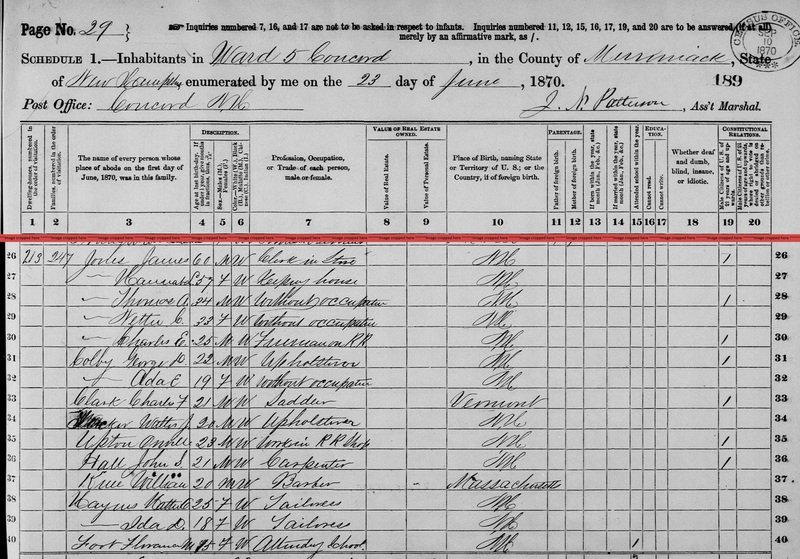 10th census, 1880 federal population census, Washington, District of Columbia: National Archives and Records Service, ([19--]) , Census Place: Manchester, Hillsborough, New Hampshire; Roll: T9_763; Family History Film: 1254763; Page: 279.3000; Enumeration District: 135; Image: 0559. Adele A. (?) was born in 1932. Adele married John J. Timmons Jr., son of John J. Timmons and Helen Margaret Hale. Adele A. (?) 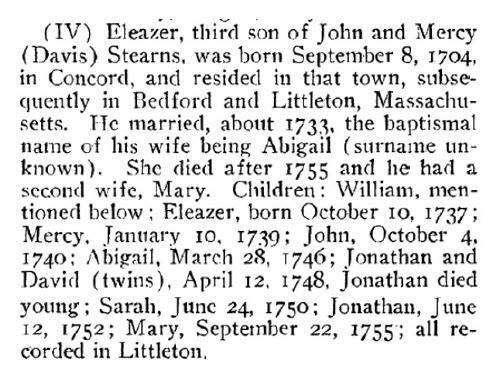 was buried in St. Mary's New Cemetery, Dover, Strafford County, New Hampshire, along with Charles H. Hale and Ellen E. Hughes. "United States Social Security Death Index," database, FamilySearch (https://familysearch.org/ark:/61903/1:1:J2MF-8Y8 : 20 May 2014), Alice C Winch, 25 Nov 1991; citing U.S. Social Security Administration, Death Master File, database (Alexandria, Virginia: National Technical Information Service, ongoing). Ann (?) was born perhaps about 1617. Anna (?) was born perhaps about 1807. Anna married Daniel Roys, son of James Roys and Olive Hinman. Anna (?) was born perhaps about 1852.
living at 269 45th Street, Manhattan, New York County, New York. 1880 United States. Census Office. 10th census, 1880 federal population census, Washington, District of Columbia: National Archives and Records Service, ([19--]) , FHL Film 1254889; National Archives Film T9-0889; Page 555D. Betsey died in 1871 in Concord, Merrimack County, New Hampshire. 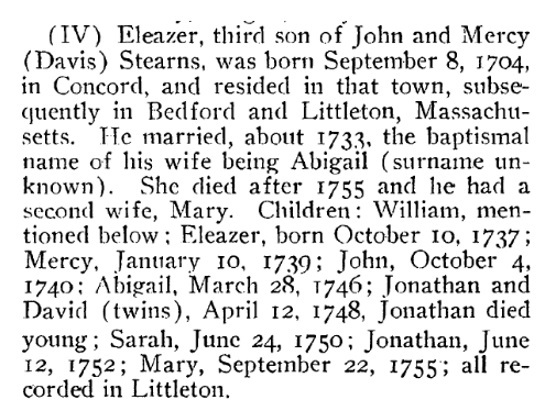 Breda married James Vincent Provencal Jr., son of James Vincent Provencal and Evelyn Gertrude Priest. Lived in Dorchester, MA from 1996. 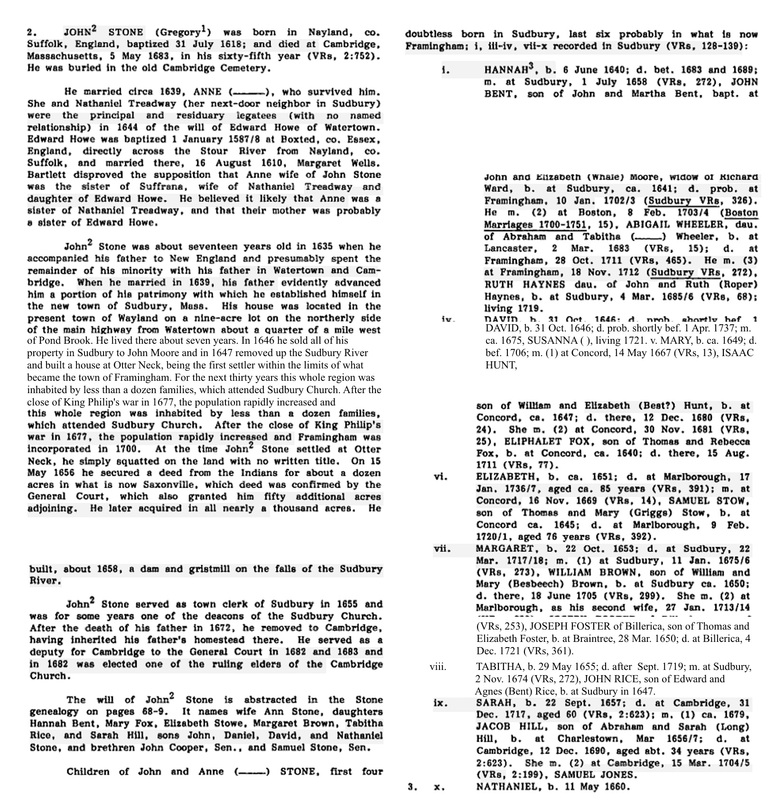 Vital Records of Needham, Massachusetts: Births to 1845, Marriages to 1850, Deaths to 1850, Needham (Mass. 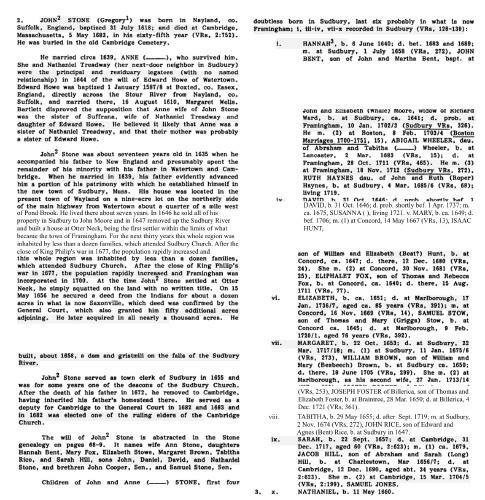 ), (1959) , p. 160. "United States Census, 1860", database with images, FamilySearch (https://familysearch.org/ark:/61903/1:1:MDHT-5XG : 30 December 2015), L B Pollard, 1860.